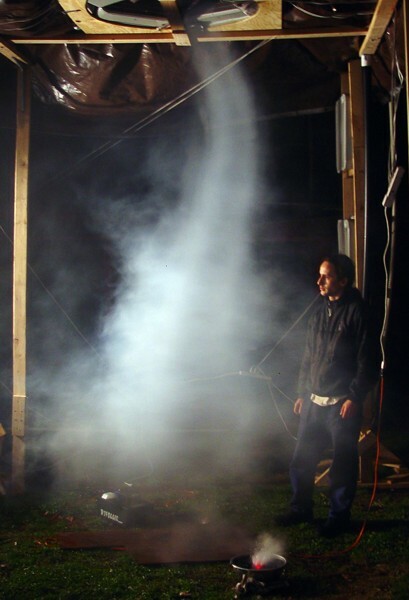 I’ve always had a fascination with whirlpools and tornadoes. 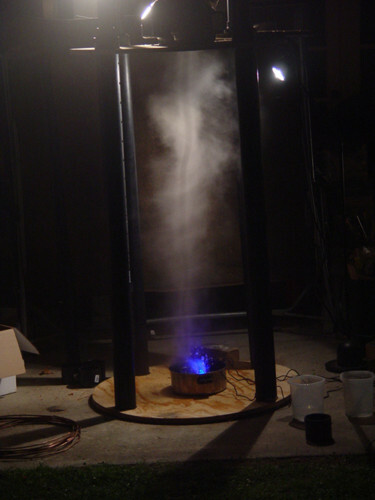 In October 2002, I finally realized that I had to build a tornado generator. 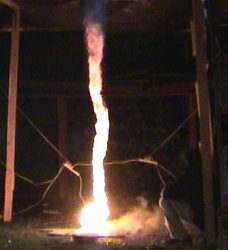 The result is pictured below (the tornado is about 5 feet tall). 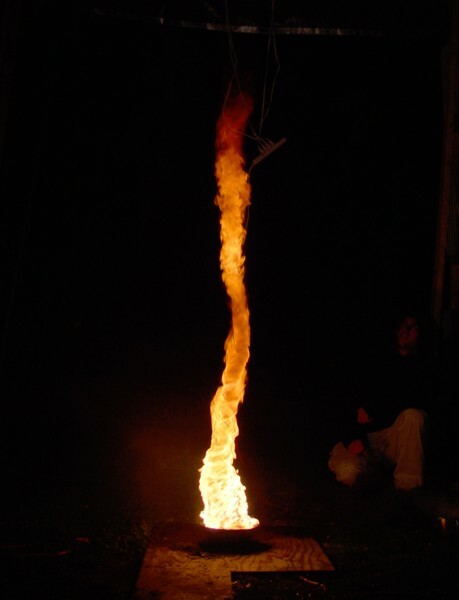 Watch a video of a flame tornado (~ 1.4 MB). 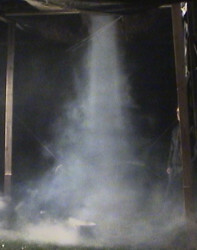 Watch a video of a mist tornado (~ 2 MB). All content on this page is copyright © 2003 by Daniel Greenhouse. All rights reserved.